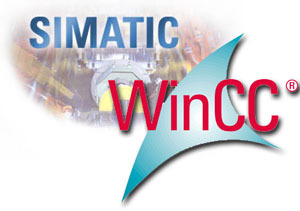 SIMATIC WinCC flexible is designed to address a broad range of tasks, human-machine interfaces: from design a single operator panel (only the production of Siemens) to develop powerful systems, human-machine interface with a client / server architecture. It combines simplicity and rich functionality, as well as new innovative technologies WinCC flexible enables the development and debugging mode Runtime projects for HMI Siemens' SIMATIC Windows CE-based mode and RUNTIME PC. Simultaneously, you can debug a bunch Step7 project in the simulator PLCSIM and WinCC flexible project on one computer engineering Very old panel is not supported - they require the use of Simatic ProTool. Additional. Information : The difference from the usual CHINA version WinCC flexible - supported SMART-line panels (Smart700, Smart700IE, Smart1000 and Smart1000IE), intended for connection to the controllers and programmable relay S7-200 LOGO! Downloading changed the original file InstData Setups.ini, to installation could be carried out in the Russian-language OS. In this program requires support for Asian languages ?? ( link ) Language - the only Chinese, but all menu items are similar to the usual menu items (European) WinCC flexible. Set both WinCC flexible and WinCC flexible CHINA under one operating system can not be (the installer will recognize them just as different versions of the same program).